This unique gathering chair adds interesting seating to your dining space. Highlighted by four tall legs, the chair features a comfortable seat and full back both upholstered with easy-care fabric. Well-crafted and designed, this piece fits well at a kitchen counter height setting. 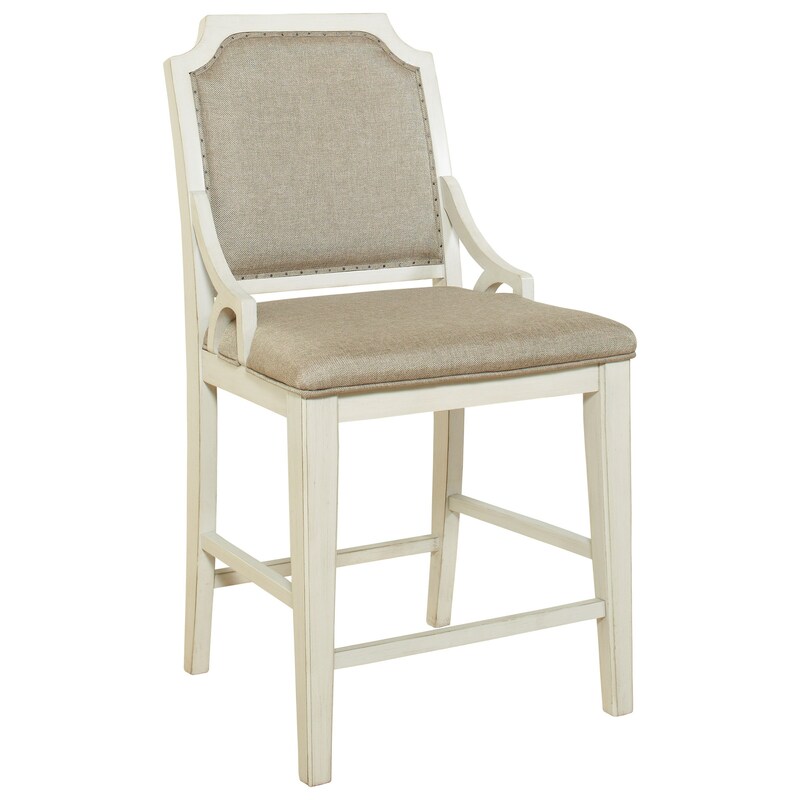 The Mystic Cay Gathering Chair with Upholstered Seat and Back at Miskelly Furniture in the Jackson, Pearl, Madison, Ridgeland, Flowood Mississippi area. Product availability may vary. Contact us for the most current availability on this product. The Mystic Cay collection is a great option if you are looking for Relaxed Vintage Transitional furniture in the Jackson, Pearl, Madison, Ridgeland, Flowood Mississippi area.